Land Rover Frisco has a great selection of pre-owned vehicles. Serving McKinney, Prosper, Lewisville, Plano, and the Dallas Forth Worth, TX area. We have an impressive selection of new 2018-2019 Land Rover vehicles along with a wide variety of pre-owned vehicles for sale at competitive prices. We strive to provide exceptional customer service for everyone visiting our dealership. If you’re in search of Land Rover parts or want to schedule maintenance for your vehicle you can rest assured that you will receive world-class service from our dedicated staff. Land Rover Frisco has the following new Land Rover models to choose from: Discovery Sport, Range Rover, Range Rover Sport, and Range Rover Evoque. Browse our inventory to find the perfect Land Rover for you. To arrange a no obligation test drive call (855) 221-7280. We’ll be happy to have your selected vehicle ready to drive when you arrive at our dealership. 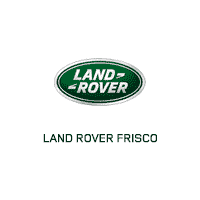 Land Rover Frisco is conveniently located at 5935 Preston Road, Frisco, TX 75034. Come in today and pick out your new or pre-owned Land Rover. We have many auto financing options that provide competitive rates to fit your monthly budget. Alternatively, if you prefer to lease a Land Rover we offer attractive leasing specials that make it easy to drive the newest Land Rover models. We look forward to serving you!